Tomorrow - Friday, November 3 - sees the launch of this year’s TULCA Festival of Visual Art which features 17 artists from Ireland and overseas - including Yoko Ono - exhibiting across Galway city, and with many of them presenting new work. The festival is presented across six venues - Galway Arts Centre, 126 Artist-Run Gallery, Nuns Island Theatre, Connacht Print Works, Barnacles Hostel, and University Hospital Galway. The festival title, They Call Us The Screamers, comes from a book written by Jenny James about the primal therapy commune she established in County Donegal in the 1970s and the controversy it created. While several works in the festival explicitly reference the commune, TULCA’s organisers stress it is not advocating or promoting the Screamers’ ideas. 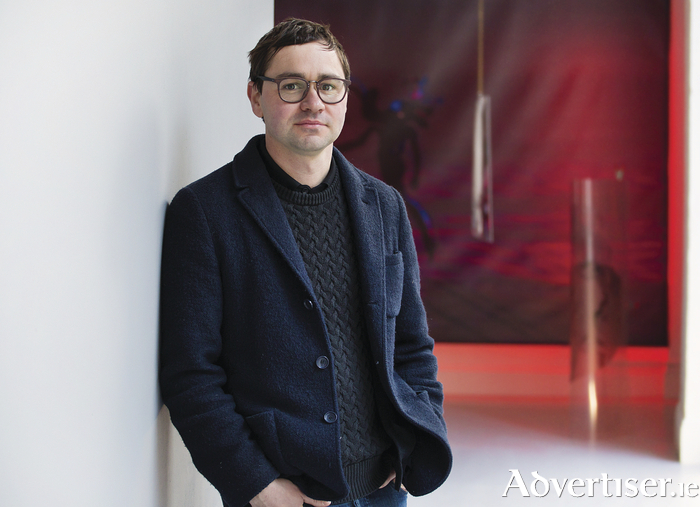 The curator of this year’s TULCA is Matt Packer. Originally from Carmarthen in Wales, he has been director of the Centre for Contemporary Art Derry, since 2014. He curated exhibitions and projects at the Lewis Glucksman Gallery, UCC, from 2008 to 2013, and was co-curator of the biennial Norwegian Lofoten Art Festival 2015. He was recently announced as director of the EVA Biennale in Limerick. Over a morning phone call he talked with me about his work and the programme he has put together for TULCA. I began by asking how he gravitated towards a career as arts curator. "Curating for me is not a carte blanche, it’s about looking at a situation and seeing what opportunities it presents"
Packer outlines his approach to curating: “I am interested in working within the parameters of a context, whether that be a physical space or the kind of resources available, or the particular demographics of the institution you are working within. For me, curating is about interfacing art and the work of artists with the broader public and I am interested in working within the limits of that structure. Curating for me is not a carte blanche, it’s about looking at a situation and seeing what opportunities it presents. I ask about the ideas underpinning his TULCA programme. “I’ve been interested for some time in ideas of counter-culturalism and alternative lifestyle,” he states. “On being invited to curate TULCA I wanted to think about the legacy of the hippies. My parents were somewhat involved in the New Age movement in the late seventies in Wales and there was a sense then that with hippies, or people who were trying to live off grid, that was a viable alternative. "Yet that no longer seemed to exist so I wondered what became of that moment and those lifestyle approaches. I started researching hippie projects in Ireland from the sixties and seventies and came across Jenny James’ book They Call Us The Screamers and that became the starting point of the exhibition. I watched Peter Lennon’s 1967 documentary Rocky Road To Dublin which argues that Ireland never really had the kind of cultural revolution that occurred in Europe and the US and that was fascinating to me. In a way I wanted to disprove it or to see the truth of that situation and it turns out there was a lot of hippie practice going on in Ireland but often led by people who had moved to Ireland because they saw it as being removed from the rat race of big cities like London. Packer outlines some of the work featured in TULCA; “There are 17 artists in the festival and 13 of them are showing new work so it’s a huge production. Half the work that is being presented was selected through the open call for submissions and half was invited. The work points in different directions; for instance there is work by Florian Roithmayr, who is based in London, and he had been working with students who suffered a neurotic disorder called elective mutism where adolescents refuse to speak. There is a college in the north of England dedicated to students who have this condition and Florian worked with them to produce a series of copper bowls. As an artist he is not just interested in social engagement he is interested in ideas of translation and what it means in terms of material and physical and tactile relationships. “There are works that go off on tangents from the screamer metaphor and explore ideas of voice and primal communication. There are also projects more explicitly about the Screamers; Lucy Stein is using a number of paintings and murals in Galway Arts Centre based on conversations she had with Jenny James. Yvette Monaghan spent time on Inisfree island where the group moved. She is making photographs and prints of the island and its turfstacks, she wanted to document it as a site of memory. Page generated in 0.0866 seconds.